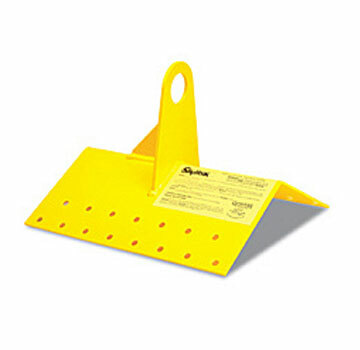 PRODUCT: GUARDIAN #00320 "SKYHOOK" PERMANENT ROOF ANCHOR (NOTE: FASTENERS NOT INCLUDED). FITS 4/12 to 6/12 PITCH ROOFS. PRICE/EACH.